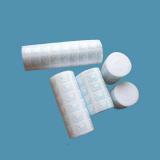 Orthopedic Casting Tape is made from multi-layer polymer polyurethane saturated through special fiberglass. Polyurethane is a material which contains the chain of soft block copolymer, several advantages such as well viscous and curing speed by itself, high hardness and light weight.Polyurethane adhibition in the field of medical because he has good biocompatibility, the experiments of animal, acute and chronic toxicity test confirmed that medical polyurethane non-toxic, non-distortion of the role of allergic reactions. 1. Wear gloves and choose the appropriate specifications. 2. 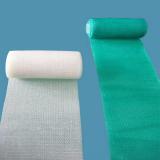 Orthopedic Casting Tape use cotton paper or cotton yarn for pad at the fixed part. 3. Open the packaging and take out the bandages, dip in room temperature water at 2-3 seconds then extrusion twice for the sake of pile out the excess moisture. 4. According to the need for winding the spiral, the moderate letdown, 2-6 serpentine at the support position, the other 2-4 are enough. 5. Use electric saws to remove it. 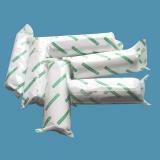 Material: Fiberglass or Polyester fiber material are available.